The extensive expansion was a result of the company’s decision to expand its foray into ultra – long, long and mid range airplanes. G550 and G500 were the ultra – long range aircrafts. The long – range included the G400 while mid range had the G300 and the G200. The G100 was developed especially for its high speed. The company grew exponentially as a result of its great quality standards and great reputation. Customer service was another strong point for the organization. It started its first international service center outside the United States amidst the London – Luton airport in 2003. The long range G450 was also inaugurated in 2003. Related: Why Choose a Charter Plane for International Travel. Interestingly, a G100 aircraft was designed just to service the Gulfstream fleet of aircrafts present in the Caribbean and the whole of North America. This aircraft was capable of providing services while the other aircraft was airborne. The problem with the aircraft to be serviced could be rectified almost instantly. This kind of customer service is an example of the excellent and unmatched standards set by this corporation. 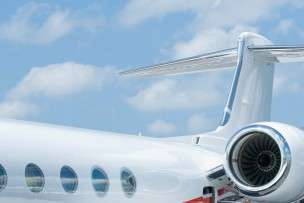 The firm earned the prestigious 2003 Collier Trophy in 2004 for the innovative design of the G550. It had now won this award the second time within a decade. This aircraft incorporated exciting features such as the Enhanced Vision System (EVS) and the PlaneView, an area with a series of LCDs. It also earned recognition for introducing a very high speed internet connection using its BBML system. It developed a state of the art device for the nose of the aircraft that helped it reduce the noise produced by an aircraft that overcomes the sound barrier. The novel design aimed to smooth out wave of pressure created by operating the aircraft at the speed of sound. In the year 2006, the G100 was phased out after being in production for more than two decades. The novel G150 took its place. It earned the Stage 4 certification from the FAA for surpassing the strictest of noise standards. The Savannah plant was expanded to include multifarious areas such as the 4,000 square meter paint hangar, 58,000 square meter service center, fuel farm, and a Research and Development facility. This expansion in turn generated approximately 2,000 jobs. All this was done as part of the $400 million Master Plan that spanned over 7 years. 2007 saw the corporation break ground for the newest jet building centre at the Savannah headquarters. Soon, a second R&D Center was inaugurated which employed about 150 engineers.3 In March 2008, an all new jet was announced and introduced. This was the G650 with the largest cabin space when compared to previous Gulfstream aircrafts. It was also unique because of its sophisticated and advanced cockpit and ultra long flying range. It could fly for about 13,000 kilometers at a speed of 0.85 Mach. It could fly at heights of about 16,000 meters in order to avoid or escape unfavorable weather conditions and airplane traffic. Later that year, the G250 (later called G280) was another feather added to the cap. It could fly 6,700 km non – stop at a speed of 0.8 Mach. It had a maximum flying altitude of 13.7 km while reaching its initial cruising height of 12.5 km. It had the largest cabin, fastest speed and the longest range in its class. Both the G280 and the G650 flew their maiden flights before the year 2009 ended. This was done as promised. The G650 took off on the 25th of November while the G280 flew first on the 11th of December.2 Further expansion of the facilities in Savannah, Westfield and Luton took place in the years 2010 and 2011. The G650 was given the provisional type certificate by the FAA in November 2011. The G280 received the PTC from the FAA in March 2012. 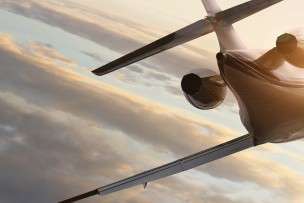 Looking for a private jet broker that specializes in business aviation. Stratos Jets caters to a range of corporate clients, offering executive air travel domestically and internationally. Our agents are available 24/7—(888) 593-9066 (toll free) or request a quote online. “Gulfstream Aerospace Corporation History.” Funding Universe.